Messier 51 in Canes Venatici, 28 Millions LY distance. 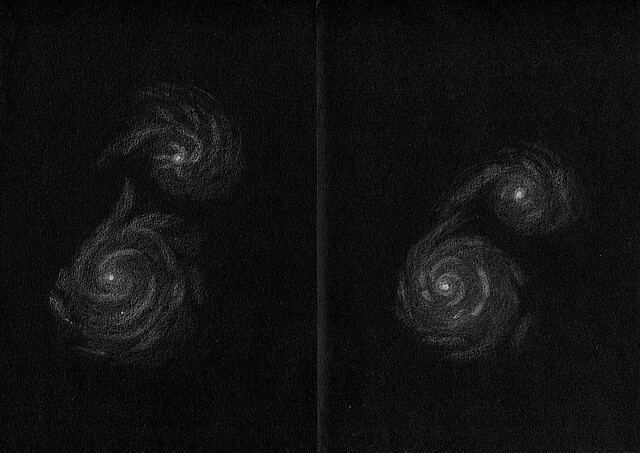 Observed and sketched with 406mm Newton, 77X and 218X (of course with no assistance of any foto). Total time for observing: 5h 30min on several nights with very transparent and dark skies in spring 2014. Observer: Dr. Johannes Schilling, Lonsee, Swabian Mountains.